So one of the things I wanted to do in 2019 was participate in a quilt along, or mystery that someone else is running, so when one of the Island Batik Ambassadors asked if any of us wanted to participate as a featured blogger I said yes! 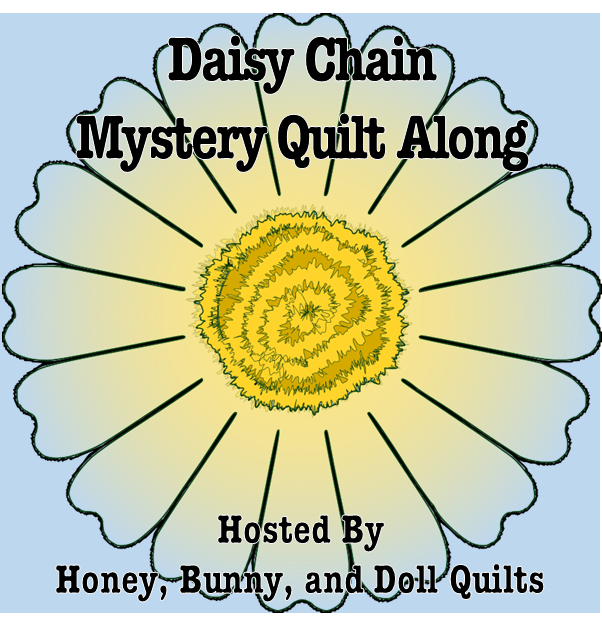 The quilt along is the Daisy Chain Quilt along hosted by Honey, Bunny, and Doll Quilts. Fabric requirements came out last week so I am showing off my fabric pull. I decided on the Twin size because I’m just not a fan of making square quilts. For my background I picked a deep purple (because I like to switch things up! ), the focal is the beautiful Kaffe Fasset print, the accent is the teal grunge stars, and my scrappy coordinates are all low volumes that are mostly in the grey range. Can’t wait to get started on cutting these beauties out.